Summer time is in full swing! Lots of variety around and great fishing. We are seeing a lot of action up on the flats as well as in the surrounding channels. The weather has been pretty consistent. Mostly sunny with the typical summer time thunderstorms at some point in the day. Usually, it does not affect our fishing or time slot that we are on the water. Up on the flats there are permit, bonefish, barracudas, and sharks cruising around. It’s good to have a variety in shallow water when you are sight fishing, so you don’t have to put all your eggs in one basket on one certain fish. A lot of people do, though, like to look for that one trophy fish. Flexibility is key though, if one of those species is not present. In the channels near the shallows is where we are seeing the most variety. 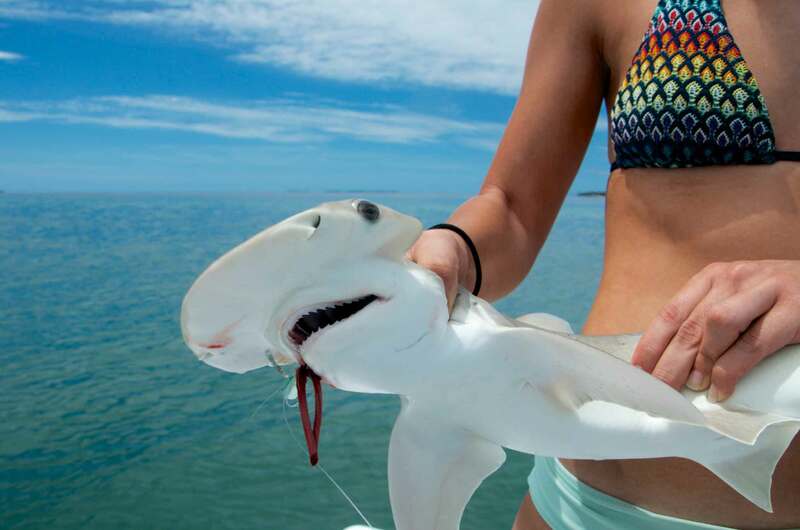 Jacks, snapper, sharks, groupers, mackerel, and all of the sub species of those fish. Sometimes you never know what you’re going to catch. Throw a live pinfish or a buck tail jig out and you’ll be surprised at how many different species you’d encounter throughout the day. Fishing will continue to be similar to this the next few weeks as we will experience about the same weather patterns. If you’re interested in booking a charter don’t wait until the last minute! Here’s the Booking Page so you can get your ducks in order. See you soon.